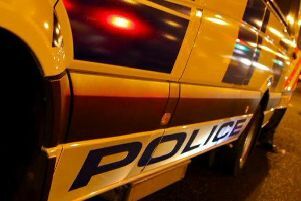 Police in Newtownabbey are urging the owners of plant machinery to ensure it is secure at night following recent ATM thefts in the region. The move comes after a recent spate of ATM thefts where diggers have been stolen in order to carry out a crime. A PSNI spokesperson said: “Diggers have been used to rip the ATM from the building that houses it. They have caused thousands of pounds worth of damage to the building. Issuing advice to the owners of plant machinery, the spokesperson added: “Immobilise your vehicles overnight (remove batteries and use steering locks). Block vehicles in with other vehicles. “Secure your site/premises as best you can (locks, fencing and lighting). Ensure any CCTV equipment is operational and camera lenses are clean. Anyone with information that can assist police with their ATM investigations is asked to contact detectives on 02890700878 or 101.